Properties in Sterling Shores average 4.5 out of 5 stars. Property 2: Just the place for you! PERFECT DESTIN LOCATION 2BR/2BA Condo at Sterling Shores- Ready for 2019! Property 3: PERFECT DESTIN LOCATION 2BR/2BA Condo at Sterling Shores- Ready for 2019! Sterling Shores 0615 - Booking spring vacays, now! Property 9: Sterling Shores 0615 - Booking spring vacays, now! Serenity Place at Sterling Shores ~ Beautiful Views ~ Summer Specials! Property 11: Serenity Place at Sterling Shores ~ Beautiful Views ~ Summer Specials! We Love Our Condo. You Will Too! Property 12: We Love Our Condo. You Will Too! UNIT 518! OPEN MAY DATES! GREAT PRICES! GET MORE BEACH TIME! Property 17: UNIT 518! OPEN MAY DATES! GREAT PRICES! GET MORE BEACH TIME! Gorgeous 3 BR Condo w/ Gulf Views & Beautiful Interior! Book Now! 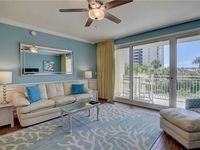 Property 18: Gorgeous 3 BR Condo w/ Gulf Views & Beautiful Interior! Book Now! UNIT 303! OPEN 4/23-30 for $1581 TOTAL! BOOK ONLINE AND SAVE! Property 21: UNIT 303! OPEN 4/23-30 for $1581 TOTAL! BOOK ONLINE AND SAVE! Gulf Views, Fitness Room, Memory Foam Mattresses, Luxury Throughout! Property 30: Gulf Views, Fitness Room, Memory Foam Mattresses, Luxury Throughout! Sterling Shores 0715 - Booking spring vacays, now! Property 31: Sterling Shores 0715 - Booking spring vacays, now! ☀Sterling Shores 818-3BR w/Gulf Views!☀100ft 2 Bch! 2 Pools! Apr 28 to 30 $751! Property 33: ☀Sterling Shores 818-3BR w/Gulf Views!☀100ft 2 Bch! 2 Pools! Apr 28 to 30 $751! 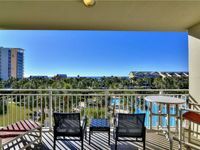 Property 37: STERLING SHORES DESTIN, FL ONE BEDRM CONDO RENTAL LOCAL OWNER GULF VIEW! LARGE 10th Floor Sterling Shores Corner Unit - Best Ocean Views In Destin! Property 39: LARGE 10th Floor Sterling Shores Corner Unit - Best Ocean Views In Destin! Once On HGTV Remodel Show! Beautiful 3 Bedroom W/ Beach Views! Property 44: Once On HGTV Remodel Show! Beautiful 3 Bedroom W/ Beach Views! Latitude Adjustment-3BR☀OPEN Apr 26 to 28 $923!☀Gulf&Pool Views-100ft to Bch! Property 50: Latitude Adjustment-3BR☀OPEN Apr 26 to 28 $923!☀Gulf&Pool Views-100ft to Bch! Wonderful property. We love Sterling Shores and will certainly be back! Convenient location! Exactly what we needed for a quick getaway!